Yay book day with Steph & Jana! I have read a ton of books since the last link up. I don't share every book I read, so if you want to see all the books I read but don't talk about here, lets be friends on goodreads! ^ I also read A Curious Beginning but will save my thoughts until I finish the series. Yep, that cover is beyond ridiculous, I think it's a requirement for paranormal romance books. If you like PNR, I highly, highly, highly recommend. This was my first series from this author duo and I am hooked. The characters are fantastic, the writing was all-the-yes, it was funny, interesting, I just loved everything about this series and highly recommend. Another fantastic Austen retelling from Staci Hart! I don't think I have ever loved a S&S retelling, but this was fabulous. It only tells Marianne's (er, Annie's) side and Elinor's (or Elle's) will be the next book and I. Cannot. Wait. This is my third Sandra Brown book, Mean Streak was one of my top reads last year and I was let down by the other book (Lethal), so I was nervous going into this one. No need, I thought it was fantastic. Right amount of mystery/suspense + a little bit of romance. I would say this is like 50/50 for which genre it belongs in, I wouldn't call it just a romance. The mystery was really interesting, I had no idea where it was going and I was definitely on the edge of my seat. Another hit out of the park from RS Grey. I might be partial because I'm slightly obsessed with her, but I loved it. This is like a romantic comedy movie, only better. Hilarious, the writing is fantastic, the setting is everything, I just love her books. To say I was champing at the bit to read this one would be a massive understatement. Ever since she announced it I've been obsessively checking Amazon to see if it had been released. I fully admit I am a Zapata fan girl, so I am not sure if this was absolutely amazing or if I was just determined to love it. I wish certain things were developed more, it wasn't my absolute favourite of hers but I still loved it. I recommend if you like her other books. It was hard not to have high expectations after AJ Fikry. This book was fine, I was interested, I really liked the characters and the story, but I just wanted more. It was so incomplete. It was also different than what I expected based on the synopsis. It passed the time just fine. The ending was abrupt. Overall it was just okay. This is a hard one for me, I was super into it and basically read it in one sitting, but it was frustrating. I wasn't a fan of the writing style and the ending was ridiculous. I didn't necessarily see anything coming, but I was disappointed by the way the author wrapped things up. This is a hard book to review. Overall, I liked it, I like the story and the message it sends, but lordy Eleanor was hard to like sometimes. It made it hard to get into, plus parts of the book were just boring. But I'm glad I did push through because it got better and I really did like it overall. This is my second Mia Sheridan book and I liked it more than the first (Grayson's Vow). 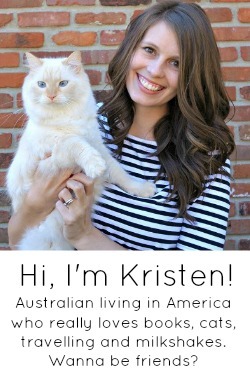 She's quite popular in the romance book world so I had high expectations. For some reason I keep expecting super intense reads and that's not what you get. Anyway, I liked the growth that both characters went through, this was a very sweet all the feelings kind of book. Not mad I read it and got it on sale. This is the book Gina and I read together this month and I think I liked it a bit more than she did. I liked Before We Were Strangers and absolutely adored Swear on This Life. So my expectations were high for this one. Unfortunately it disappointed me just a bit. I still liked it, I liked the idea of it, I felt the emotions. I just had a few issues with it. I felt like the synopsis was a bit misleading and I didn't always understand the characters actions. That being said, I definitely didn't hate it, it's just not my favourite from this author. Predictable, fluffy but oh so enjoyable. I didn't enjoy the second as much, but it was still cute and I'll read the third when it comes out. Recommend if it sounds like your jam. Oh man, I struggled with this one. I do not know why but I just didn't enjoy it as much as the first, though there were certainly some good parts and overall I liked the story, I still want to read book 3, it just wasn't as... enchanting as the first one. The first half of the book was really slow, though the second half really picked up and was just wonderful. I feel bad rating it a 3, but at the end of the day, even if I want to read the next one, this one did not hold my attention as well as the first, and it was not as enjoyable a read. 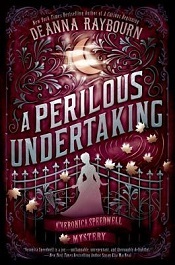 A Perilous Undertaking & still working on Murder on the Orient Express. 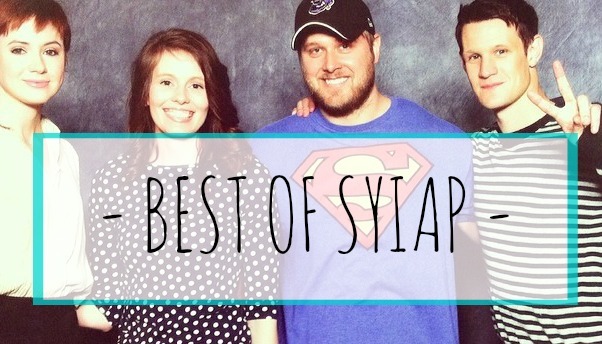 TL;DR - I recommend ... well, everything and nothing depending on if it sounds like your jam! My favourites were all the ones up top. The only one I wouldn't recommend is Silent Child. Gina and I will be reading Nemesis by Brendan Reichs before the next link up if you'd like to pick it up as well. It was one of the daily e-book sales I shared in the last couple weeks. The start of the synopsis grabbed me: It’s been happening since Min was eight. Every two years, on her birthday, a strange man finds her and murders her in cold blood. But hours later, she wakes up in a clearing just outside her tiny Idaho hometown—alone, unhurt, and with all evidence of the horrifying crime erased. I love seeing your thoughts on books! I actually randomly gave up social media (say whaaaa?) but I find myself missing your daily book deal insta stories!! I bought so many books based on it! That's a good description of Young Jane Young. If it were her first book, I likely wouldn't pick up another. I almost downloaded Eleanor the other day but it gets mixed reviews. I enjoyed Wish You Were Here...maybe a bit more than you did so we're even. LOL. But I would probably rate it the same as you (4 Stars), whereas Most of All you...eh, 3 or 3.5. I gave up on Sandra Brown after two duds, but mayyyybe I'll think about adding Seeing Red after your review. I do like the mystery/romance mix she offers! I'm finally going to add Mean Streak to my TBR after hearing people talk about Sandra Brown a million times. I totally agree that from the synopsis of Young Jane Young, you're kind of expecting something else-- I thought it was going to be way more about her earlier life. Can I just say, I am so impressed with how many freaking books you get finished in a month. I feel achieved if I get 3 - a SUPERSTAR if I get in 4... I bow down to you book queen! I am so bummed by library doesn't have any R.S. Grey - I think I just need to buy it because it sounds so good! Always so amazed at how much you read, especially when this isn't even all of them! I cant wait to read your book reviews because I know I am going to add all the ones you loved if I hadn't already read them. I am so pissed that my library doesn't have a single Mariana Zapata book in site. UGH! I keep requesting they get them and they ignore me. So rude. The Hidden Legacy Series sounds interesting. 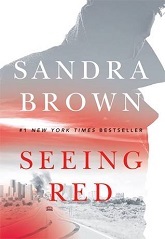 I am adding Living OUt Loud and Seeing Red too, you know I love Sandra Brown. 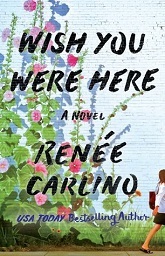 I loved Wish You were Here and Renee Carlino is one of those writers I cant quit.The Beau and The Belle was sooooo good!!!! Please keep me informed of any new ones by her. I follow her on instagram now and basically want to be her best friend!!! But sometimes I miss book releases so I dont wan to miss hers. My library also has nothing by her, but her books are so affordable, I dont mind buying them and supporting her! I want to read Duet since you and Heather both say it was a favorite! Nemesis sounds interesting - that synopsis pulls me in too. Haven't read any of the others so I'll check them out! Looks like you read a lot of awesome books lately! That's awesome. I've read a total of like...20 books this year so far I think, but I didn't include all of them on my post today because I've previously reviewed a lot of them. I like your comment on PR book covers - they really are ridiculous a lot of the time, but the books are usually way better. Wow! January was good to you in the reading department! I felt the same way about Wish You Were Here. I think I have Seeing Red on my NetGalley. I definitely need to read it soon! You are so my hero, you read so many books! I love your variety of books!! I want to read as many books as you do! I want to add Young Jane to my list, I don't know what keeps me from it. I need to read a Sandra Brown book because everybody seems obsessed! I’m glad that this book was better than the last one you read by her. 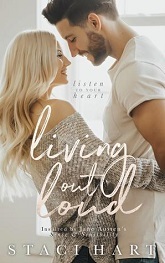 And I love Jane Austen retellings so I’ll definity have to pick up Living Out Loud! 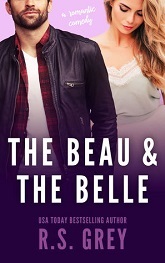 I’ve also heard so many good things about The Beau & The Belle! So many of these are on my TBR list. 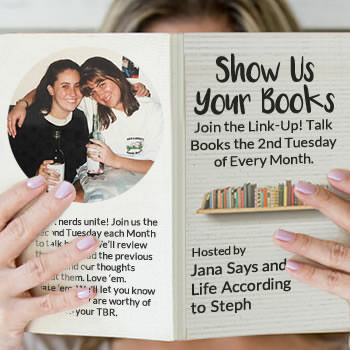 Can’t wait to jump into Living Out Loud - S&S is my favorite Austen! 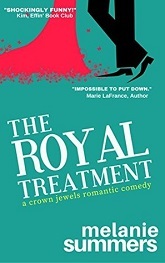 Wait, there’s going to be a third book in the Royal Treatment series?! I LOVED the first one (agree with you on the second). Also thinking of starting the new Zapata book since ice skating/Olympics right now make sense, lol. I'm with you on Young Jane Young and Eleanor. Unfortunately, it was tough to follow AJ Fikry - if this had come first, I think it would've fared a bit better. And you're right, the description didn't exactly set expectations well. We read Eleanor for book club, and while it was a bit hard to read at times, it spurned great discussion. I really liked it. Eleanor wasn't always easy to like but I somehow found her amusing even when she was at her most socially inept. We definitely have different taste in books but I like reading your reviews anyway! Eleanor Oliphant is on my list but I'm not in any hurry. I loved Eleanor the book but Eleanor the character was like a cousin you're close with that you love but who gets on your nerves sometimes. You're the second linker upper to mention Mariana Zapata, I might need to check her out as a beach read. These posts always make me so envious! I need more time! 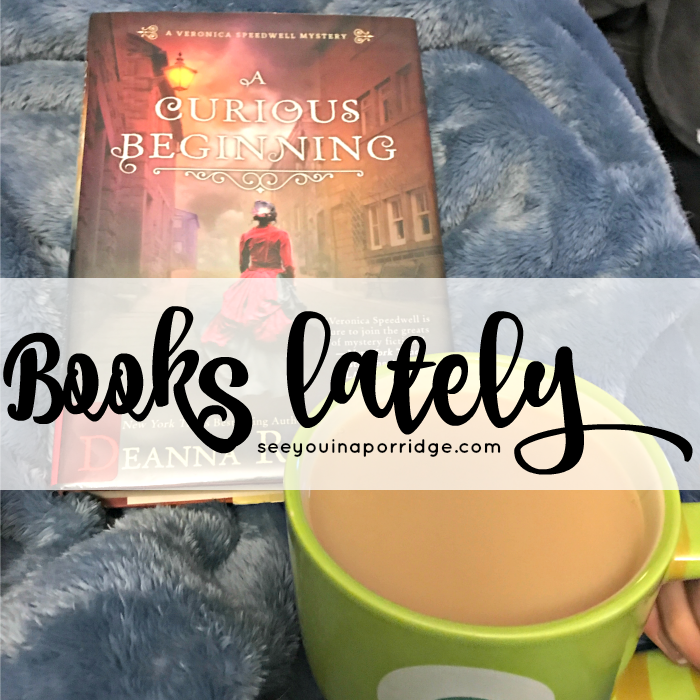 Sounds like you had a good reading month :) I see you are currently reading Agatha Christie's Murder on the Orient Express; it is so good, hope you enjoy it! I felt the same way about Young Jane Young. I don't read romance books but your volume is impressive. Eleanor is on my TBR but haven't picked it up. Interesting thoughts on Eleanor Oliphant. I haven't read it yet, but I'm intrigued. Zapata definitely has some versatility! 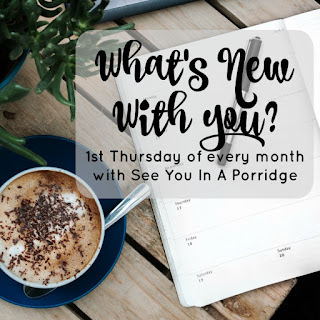 You had some great reads this month! I just read Eleanor and it will be in next month's review. Wish You Were Here is on my to read list. 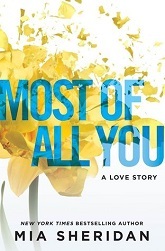 I just added Eleanor Oliphant is Completely Fine after reading another review on this link-up. It's one of those books I've seen everywhere, but had never bothered to look into. It sounds like something I'd enjoy, so I'm not sure why I never considered adding it before. I also added Young Jane Young and Silent Child. 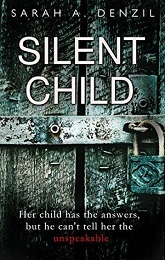 I know you said you don't really recommend Silent Child, but the synopsis on Goodreads made me feel like I needed to read it. Maybe I'll hate it, but I just couldn't pass it up. I still haven't read The Storied Life of A.J. Fikry, but it's been on my list for ages. Young Jane Young seems like the kind of thing I like when I've been reading way too many intense books and want something a little lighter. I'm determined to get to Swear on This Life this year. If I like it, I'll definitely add more of her books to my list. You read a lot last month, and I have heard of so few of them! I've had Eleanor Oliphant on my wishlist for months though. I really like Sandra brown so I'll have to add that to my TBR. I almost picked Silent Child for my Amazon Firsts choice but I'm glad I didn't. I liked the book I did choose better and it seems like I dodged a dud! After seeing yours and Nadines raves on Belle & the Beau, I went ahead and bought the damn thing. Can't wait to get into it! I keep hearing about From Lukov...maybe I need to pick that one up! 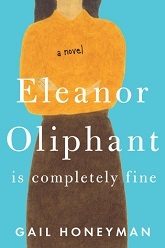 I've read a couple reviews of Eleanor Oliphant who felt the same way you did about her. It's so funny because I absolutely LOVED her and pretty much pegged her as my favorite character I read in 2017. Now I'm wondering what that says about me... Ha! I'm going to add Living Out Loud to my to-read list. I love Austen retellings! 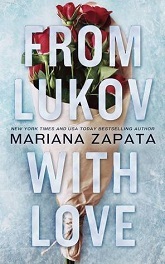 I saw your Goodreads post about finishing From Lukov and how much you love Mariana Zapata, so I checked out her books and didn't add Lukov but a few of her other books to my TBR list. I'm glad that I'm not the only one who was annoyed by Eleanor. Ugh. So tedious. I love your brief one-line synopses for the books, especially the "eleanor is very much not fine." 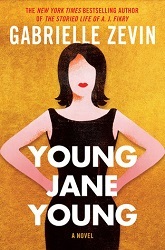 I have avoided Young Jane Young because Fikry was soooo good! That must be so hard as a writer to have one book that so many love and have to have all future works compete with it. So much pressure. So many good books! I just put a bunch of these on my TBR list. I just finished Small Spaces by Sarah Epstein (which was really good - but a quick read!) and now I’ve just picked up a secondhand bookstore book to read next - Friends Lovers and Chocolate by Alexander McCall Smith. I totally agree with you about Eleanor Oliphant! It took me sooo long to get into it. Nemesis sounds intense but also super intriguing and interesting. 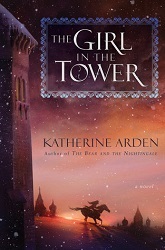 You're the first person I've seen give The Girl in the Tower a less than top-notch rating. I plan to read it, but I like when people take different things away from the same book. I looooved The Bear and the Nightingale. I'm actually looking forward to seeing how they compare! I really need to pick mean streak back up. 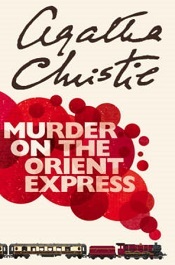 murder on the orient was a quick read for me! SO I can't believe I didn't comment on this post last week, but I did read it (and I can't comment on your blog from work for some reason, I think I told you that before)...anyway, Yay Veronica Speedwell! I totally agree with your thoughts on Young Jane Young and Eleanor Oliphant too. I don't know if I like PNR or not...is it like the mortal instruments? or more like a mature twilight? I will have to look into Ilona Andrews! Tell me more!! I'm reading The Lake House that you recommended and it's so good!!! I'm almost done and can't wait to find you what happens. You know your books that is for sure.